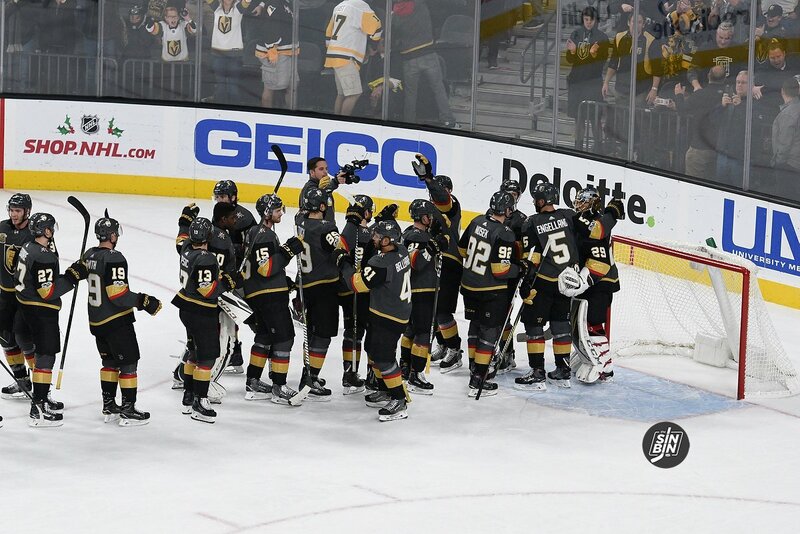 Last year we popularized the term “Points To Elimination” to show how close the Golden Knights were to clinching their division as the season wrapped up. This year, we decided, why wait until February to start counting towards a playoff berth, let’s just do it now… after a win. So, Points To Elimination is back. It’s on the sidebar of the site at all times on desktop and it’s all the way at the bottom of every page on SinBin.vegas on mobile. Vegas must have eliminated either five teams in the Pacific Division OR seven teams in the Western Conference. Vegas must have eliminated all seven Pacific Division teams. Vegas must have eliminated all 14 Western Conference teams. Here are the updated numbers as of right now, this page will not be updated daily, but the sidebar and bottom banner will be. What does the “points to elimination” number mean? The goal is to get that number to 0. There are two ways to take points off the number. First, the Golden Knights earn points. If they win, you subtract two from the number of every team. If they lose in OT, you subtract one from every team. The other way is for the team in question to fail to earn points. If they lose, you subtract two. If they lose in OT, one. If the Golden Knights lose and the team in question wins, then the number remains the same. Reminder: This is only eliminating the team from finishing with more points than the Golden Knights. This does NOT mean that a team is eliminated from the playoffs.